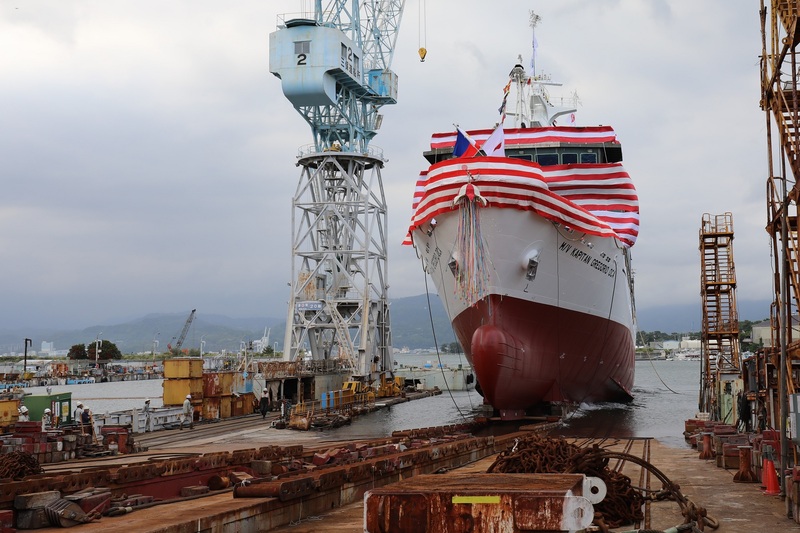 MIHO SHIPYARD CO., LTD. (3797 Miho, Shimizu-ku, Shizuoka City, Shizuoka, Japan; President: Kengo Suzuki) launched KAPITAN GREGORIO OCA, a 70M-type training vessel built for the International Mariners Management Association of Japan on August 9, 2018. KAPITAN GREGORIO OCA, which is part of a globally unprecedented labor-management cooperation project, was built with funds jointly managed by the International Mariners Management Association of Japan, the All Japan Seamen’s Union, and the Associated Marine Officers’ and Seamen’s Union of the Philippines (AMOSUP). The vessel will be used to train students studying to become seamen at the Maritime Academy of Asia and the Pacific operated by AMOSUP. Due to concern about an approaching typhoon, the naming ceremony for the vessel was held on August 8, followed by the launching ceremony on August 9. 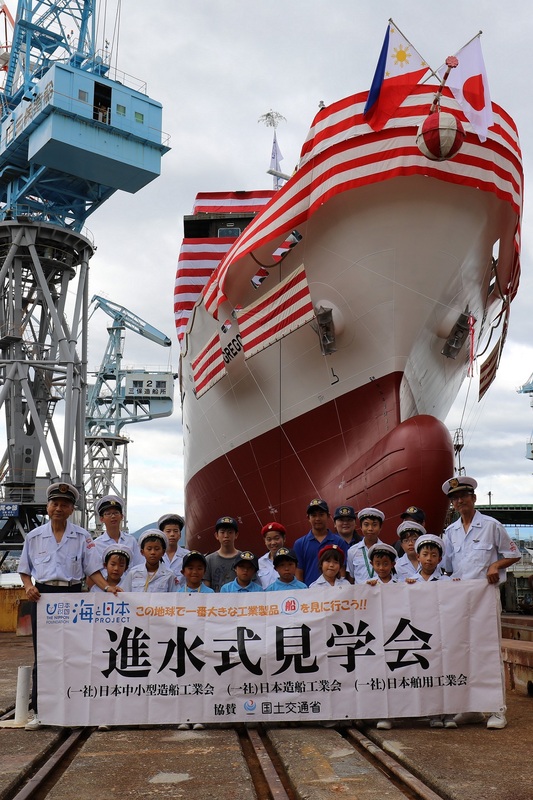 The naming ceremony was attended by twenty members of the Japan Sea Cadet Foundation Shimizu, who cheered in excitement at this rare opportunity to see such a large vessel up close. MIHO SHIPYARD has been building small vessels for nearly 100 years, ever since it was founded in 1919. The company builds mainly fishery vessels, in addition to government vessels (research vessels, training vessels, patrol vessels, etc. ), cargo vessels, and special vessels, and has constructed more than 1,400 vessels over the years. 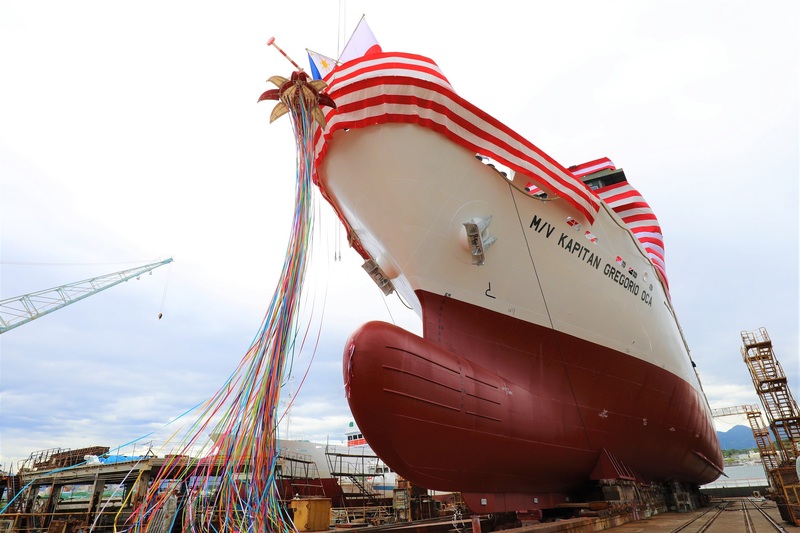 The shipyard is known for its excellence in technical skills and has won three Ship of the Year awards, which is given to ships built, based on technical and social considerations. MIHO SHIPYARD received the order for this training vessel in recognition of its experience in having constructed a diverse range of ships, its cost competitiveness, and its maintenance service structure after the vessel’s launch, provided at a shipbuilding site in the Philippines operated by its Group company, TSUNEISHI SHIPBUILDING Co., Ltd.
MIHO SHIPYARD will continue to contribute toward the development of the local community and the maritime industry by providing a broad lineup of high-quality vessels such as fishery vessels, government vessels, and commercial vessels. ■ About MIHO SHIPYARD CO., LTD.
General Manager of General Affairs and Human Resources Dept. Manager of General Affairs and Human Resources Dept.